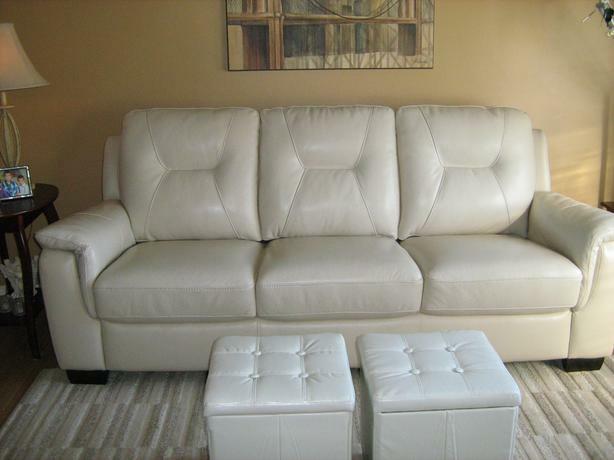 Very nice perfect condition leather off-white couch, mostly brand new. Was in my living-room for 4 months and do not need it anymore. Asking 900$ FIRM. If interested please call 613-487-3274. Serious buyer only.